Here is the wedding highlight video that we made for Mina & Carol.For us here at SDE Weddings®, Toronto’s premier wedding videography, cinematography, and photo booth company, taking a trip down memory lane and tracing back a couple’s first moments and the budding of a newly minted love story is one of the most romantic and heartfelt parts of what our videographers and cinematographers can do for a wedding day. The story of young love, growing and glowing through the ages, and one day culminating into a glorious wedding day ceremony and celebration is an always touching theme to share, and a true testament to the beauty of life, fate, and the shared destiny between people. Such is how our videographers and cinematographers begin our story with Carol & Mina, a lovely couple from Ottawa who held their Coptic wedding on a fine spring day just this past May 27th, 2018 in an unforgettable ceremony held at Ottawa’s St. George and St. Anthony Coptic Orthodox Church, with a vibrant celebration to finish at the Hilton Lac-Leamy just across the river in Gatineau, Quebec. In our included highlight reel and same-day-edit, our videographers and cinematographers join Carol & Mina as they recount and re-enact their various relationship milestones, and welcome one of their grandest milestones in a wonderful wedding day to start their lives anew. A truly unique and beautifully creative experience for our videographers and cinematographers, and we invite you to take part in Carol & Mina’s story as well through the highlight reel. From a chance meeting to the unfolding of fate into a blossoming of something beautiful, Carol & Mina’s story is truly one of a kind. So join us as we revisit our work with Carol & Mina on their wonderful springtime wedding day. The summer season has always had love in the air. With the passing of spring and the symbolic beginning of new life comes the blossoming of many beautiful scenes under the sun. And through many spotless summer skies, our wedding videographers and cinematographers here at SDE Weddings®, Toronto’s premier wedding videography, cinematography, and photobooth group, have spent years documenting many couples choosing a perfect summer day to be their wedding day. One such special couple was Peter & Paula, a young couple of Korean and Filipino backgrounds respectively, finding themselves and each other amidst the multicultural mosaic of Canada. The truly special couple held their summer season wedding day on June 8th, 2018 in a brilliant ceremony and celebration held at the Oakview Terrace Reception Centre, a breathtaking countryside wedding venue in Richmond Hill, just north of Toronto, and a first foray for our videographers and cinematographers to this rather impressive event space. Having filmed many multicultural weddings over the years, our videographers and cinematographers have always held the belief that true love can bloom regardless of who you are or where you’re from. Indeed, there’s always a beautiful love story to be found, and our videographers and cinematographers would love nothing more than to share such touchingly beautiful love stories with the world. So join us as we recall some of our most treasured memories from our work with Peter & Paula on their summer season multicultural wedding day. For us here at SDE Weddings®, Toronto’s premier wedding videography, cinematography, and photo-booth group, nothing’s better than starting off the summer season with a beautiful and unforgettable wedding day. With this year’s summer sun finally upon us here in Toronto, and the flow of the summer winds heating up the season in our picturesque Lake Ontario locale, something spectacularly perfect is bound to be brewing in such a scintillating setting, and our videographers and cinematographers are ever-ready to capture such special moments. Such is how we recall our perfect time spent with Angela & Isaac, a delightful young Chinese couple whom our videographers and cinematographers had the absolute pleasure in working with on their wonderful wedding day just this past June 3rd, 2018 at their absolutely breathtaking Chinese wedding day ceremony and celebration held at Stoney Creek’s gorgeous Edgewater Manor, just a stone’s throw away from Toronto and a first visit for our videographers and cinematographers to this very impressive wedding day destination. Angela & Isaac, a lovely young Chinese couple, had held an absolutely unforgettable Chinese wedding in a truly traditional and stylish fashion; complete with the morning’s exciting door games, to the elegant and refined atmosphere of the traditional Chinese tea ceremony; two very special scenes which our videographers and cinematographers have perfected in capturing in film, and can be previewed in our included highlight reel. So join us as we recall some of our most splendid memories and picture-perfect moments captured by our videographers and cinematographers from Angela & Isaac’s truly breathtaking and unforgettable wedding day, along with a review of our videographers and cinematographers’ select favourite scenes from Angela & Isaac’s truly special day. For us here at SDE Weddings, Toronto’s premier wedding videography, cinematography and photo-booth group, a perfect wedding day and the archiving, crafting and artistry that goes into creating the perfect memento in video form is simply par for the course. Seeing couples from all walks of life come together and consummate their eternal bond in an unforgettable wedding day ceremony always leaves our videographers and cinematographers believing ever-more strongly in the goal of capturing these life-changing memories in the best possible light, solidifying something beautiful so that such days can truly stand the test of time. So for our videographers and cinematographers, teeing off with Kristi & Matt on their un-fore-gettable wedding day just earlier this summer on June 3rd, 2017 in a beautiful ceremony and reception held at Sudbury’s Idylwylde Golf & Country Club would be a truly heartwarming and extraordinary wedding experience. Kristi & Matt, two avid golfers, had been vacationing in Arizona; visiting the Johnson Ranch golf course, Matt surprised his bride-to-be with a swing and a hit. Atop a mountain overlooking Arizona’s San Tan Valley, Matt feigned a tee-off, knelt down and proposed to Kristi. With an unforgettable memory that sealed the deal as Kristi said “yes!” to the extravagant proposal, the couple would find their way back home here in Canada, in a wonderful wedding day held at a specially chosen location by the two golfers, a premier golfing location in northern Ontario, and a new destination for our videographers and cinematographers, Idylwylde Golf & Country Club in Sudbury, a breathtaking northern Ontario golf course overlooking multiple lakes, secluded islands and pristine wilderness. A truly special wedding to work on for our videographers and cinematographers, the remarkable scenery made for perfect aerial drone shots, and made for excellent clips for the wedding day’s same-day-edit, staying true to our company’s namesake. So join us as we recall one of the most exhilarating wedding days our videographers and cinematographers have worked on, and tee-off with Kristi & Matt on their hole-in-one wedding day. For us here at SDE Weddings®, Toronto’s premier wedding videography, cinematography and photo-booth group, nothing makes our videographers and cinematographers happier than playing a part in the production and performance of a perfect couple’s wedding day. Seeing the culmination of the many years that a couple have had to build a life together come to the crossroads of a wedding day, and looking forward to a lifetime of beautiful memories ahead, we can’t help but feel ecstatic and excited through the many weddings we’ve worked on. So for our videographers and cinematographers, the story of Lisa & Anthony was truly a special one. A long-time couple from the small city of Camlachie, in the lovely town of Eton Court, Ontario, Lisa & Anthony held their wedding day earlier this year on a beautiful May 13th, 2017 wedding ceremony and celebration set in a heartwarming small-town setting. With a perfect ceremony at Brights Grove’s St. Michael Roman Catholic Church, just a stone’s throw away from Sarnia, and quite a trek for our videographers and cinematographers to head out west from our Toronto headquarters, Lisa & Anthony’s wedding day would be one to remember. Coupled with a spectacular reception and celebration at Sarnia’s Dante Club Hall, our hearts and minds were sincerely warmed by the many scenes we’ve helped capture of Lisa & Anthony’s monumental wedding day. So join us as we recall the many splendid scenes our videographers and cinematographers had filmed for Lisa & Anthony’s wedding day, and take a trip with us out west as we recall one of our truly memorable travels to the charming streets of Sarnia and Brights Grove for what would be an unforgettable wedding day. Sometimes the best love stories are those that start the earliest. A childhood crush, a lifelong friendship, and ultimately an unbroken vow for those that are – quite literally – meant for each other. For us here at SDE Weddings, Toronto’s premier wedding videography, cinematography and photo-booth group, such fancifully romantic tales are the perfect stories we’ve always loved to film and feature. Such is the story of Diana & Kevin, two childhood friends from kindergarten that began dating a decade ago and have finally chosen to tie the knot just this past September 3rd, 2016 in a beautiful ceremony and reception at the University of Toronto’s historic Hart House Centre. Kevin, who’s Korean, and Diana, who’s Chinese, had chosen a cross-cultural motif for their wedding day; an homage to both heritages, and an absolute pleasure to film for our videographers and cinematographers. A truly particularly special couple to work with, our videographers and cinematographers had also went the extra mile by incorporating several scenic shots of the couple in and around the grounds of their old elementary school; a beautifully nostalgic gesture perfectly planned and placed on the couple’s wedding day. So join us as we recall our wonderful time filming for Diana & Kevin on a day that remains both nostalgic and unforgettable. What is also special about this wedding is that Diana is Rainbow Chan’s cousin. Rainbow Chan is a Toronto Wedding Planner & Coordinator that we often collaborate with, and we want to thank Rainbow Chan for referring us for her own cousin’s wedding. For us here at SDE Weddings®, Toronto’s premier wedding videography, cinematography and photo-booth group, a beautiful wedding day captured in film is worth every bit of effort and artistry taken to create a lasting and memorable masterpiece. For our videographers and cinematographers, it is the loving smile shared between husband and wife that makes for perfect memories, a timeless treasure to share with family and friends, and a timepiece to commemorate one of life’s most beautiful moments. 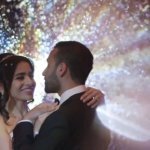 And this and many more beautiful moments is what our videographers and cinematographers had aimed to perfectly capture and convey on film during one of our most splendid weddings to date, working with Setareh & Poria, a young Persian couple, on their wonderful summer wedding day just last year under a spotless sky on July 30th, 2016 in an impeccable celebration taking place in Toronto’s very own Centre Island, with a lovely reception held at the Royal Canadian Yacht Club. One of the handful of times our videographers and cinematographers had filmed at Centre Island, and an absolute pleasure working at the historical Royal Canadian Yacht Club, combined with a gorgeously blue summer sky and the ebb and flow of Toronto’s famous harbourfront, Setareh & Poria’s wedding day was an altogether captivating experience from beginning to end. So join us as we revisit the many splendid wedding day scenes our videographers and cinematographers had filmed for Setareh & Poria’s unforgettable wedding day, and witness just how beautiful a summer day can be for a couple in love.